Application: 1/2'' square drive sockets with ball lock. Rapid and precise working in concealed or confined installation areas. Chrome vanadium/chrome molybdenum, brushed chrome-plated finish. Wera 8794 SC Zyklop 1/2'' Extension with Free-Turning Sleeve, Short. Easy-to-grip free-turning sleeve for rapid tightening or loosening of screws and nuts, chrome vanadium, brushed chrome-plated finish. Wera 8794 LC Zyklop 1/2'' Extension with Free-Turning Sleeve, Long. Easy-to-grip free-turning sleeve for rapid tightening or loosening of screws and nuts, chrome vanadium, brushed chrome-plated finish. Wera 8789 C Zyklop 1/2'' Sliding T-Handle. For 1/2'' square drive sockets with ball lock, sliding drive. Chrome vanadium, brushed chrome-plated finish. Wera 8795 C Zyklop 1/2'' Universal Joint. For 1/2'' square drive sockets with ball lock, sliding drive. Chrome vanadium/chrome molybdenum, brushed chrome-plated finish. Wera 8784 C2 Zyklop 1/2'' Adaptor. Suitable for 1/4'' hex bits as per DIN 3126-C 6.3 and E 6.3, ISO 1173 and Wera series 1 and 4. 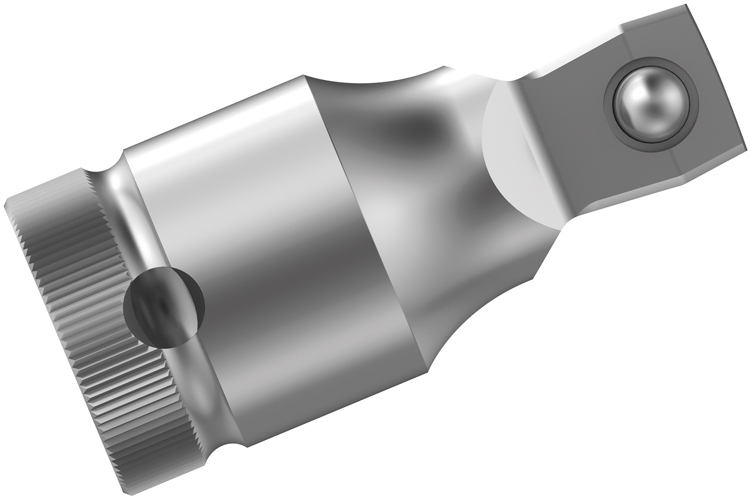 Quick-release chuck for fast bit changes, chromium vanadium. The 05003639001 Wera 8794 C Zyklop 1/2'' Wobble Extension is one of thousands of quality tooling products available from MRO Tools. Please browse 1/2'' Wera Zyklop Ratchet, Accessories for tools similar to the 05003639001 Wera 8794 C Zyklop 1/2'' Wobble Extension. 05003639001 Wera 8794 C Zyklop 1/2'' Wobble Extension description summary: Wera 8794 C Zyklop 1/2'' Wobble Extension. 1/2'' square drive sockets with ball lock, sliding drive. Swivels through 15 degrees. Rapid, precise working in concealed or confined installation areas. Chrome vanadium/chrome molybdenum, brushed chrome-plated Quantity discounts may be available for the 05003639001 Wera 8794 C Zyklop 1/2'' Wobble Extension. Please contact MRO Tools for details.